Hyperneph - Exponential-e selected as provider of choice. - Exponential-e Ltd.
Quality of Service drives Reseller relationship - Exponential-e selected as provider of choice. Dedicated Business Internet and Data Centre Connectivty. 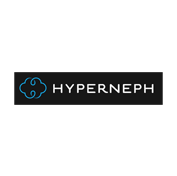 Hyperneph is a boutique Cloud service provider who specialises in highly available websites.